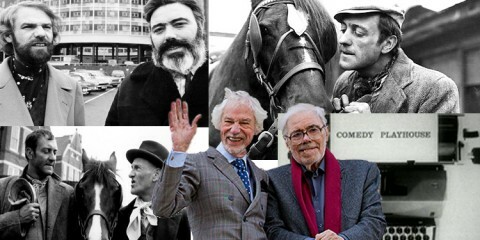 We’ve spent the last few days in the company of legendary scriptwriters Ray Galton and Alan Simpson, we’ve discussed Comedy Playhouse, Hancock, Tony Hancock’s final series for the BBC and today marks a very important landmark in the history of those Great British Sitcoms we’ve all come to love – Sixty years today, Tuesday 2nd November 1954 at 9.30pm, BBC Radio broadcast the very first episode of Hancock’s Half Hour. 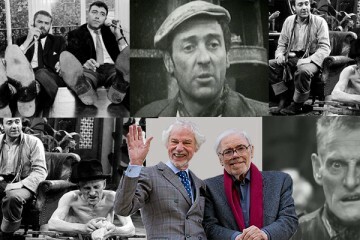 In the eyes of many people this is regarded as the very first sitcom. 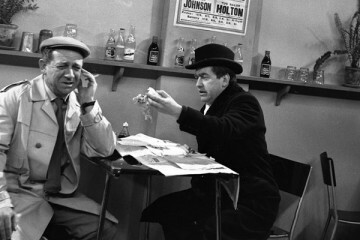 Hancock’s Half Hour would run on BBC Radio for six series until 1959, between 1956 and 1959 it would run concurrently with the TV series. BCC: How did you meet Tony Hancock? 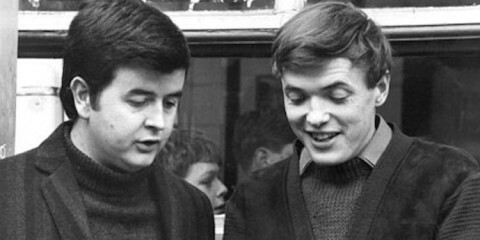 G&S: We wrote a letter to the big comedy writers of the time, Frank Muir and Dennis Norden, asking if we could work for them, hoping to learn how to write comedy. We got a nice letter back saying ‘No, but if you have any good ideas, you should send them to Gale Pedrick the script editor at the BBC’. So we did. This was about 1951. We wrote a script based on Take It From Here. Derek Roy, who was a big comedian of the day, picked it up and offered us a job as gag writers on his radio show Happy Go Lucky at 5 shillings ( twenty five pence) for each one he used. The show was a disaster. It was a big show, with lots of talented people, but it didn’t work. 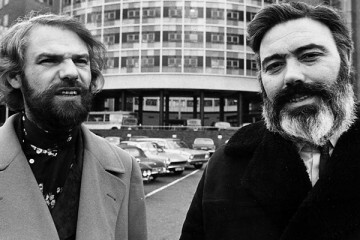 The producer had a nervous breakdown and they brought in Dennis Main Wilson, who used to do The Goon Show. He asked us to write the last three shows. It was whilst working on Happy Go Lucky we met Tony. He was doing a sketch in the show about boy scouts, he was their leader. This was the only part of show we did not write. We were rehearsing a bit that we did write and he said “did you write that?” and we said “yes” and he said “very funny” and walked off. We never heard from him after that, then two months later he got in touch and asked us to write a 5 or 10 minute sketch for him, for Workers Playtime, where he had to provide his own material. He asked how much we charged?, he said “I’ve not done this before, I’ll give you half of what I get” We said yeah, fine. And he got 50 guineas! So he would give us twenty five and that was three times what Derek Roy was paying us! BCC: How did Hancock’s Half Hour come about ? 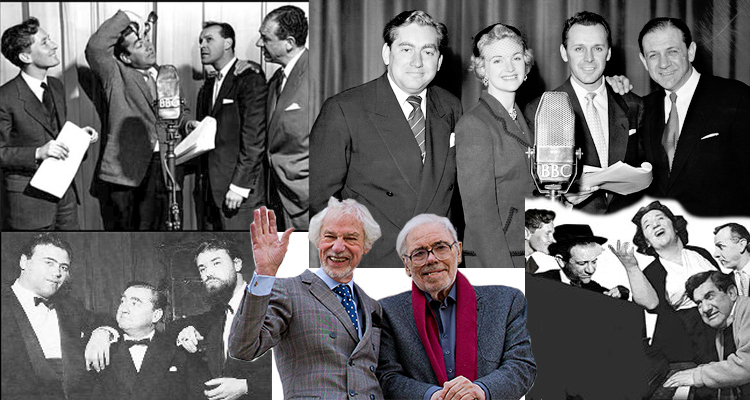 G&S: It was six months after a BBC producer asked us to write the last six of a weekly show called Calling All Forces – which had previously been written by Bob Monkhouse and Denis Goodwin. They’d written about 80 episodes for the first 18 months – why they didn’t do the last six we never found out. They said they were going on holiday. We thought, we’ve never even been in the forces, but we agreed to do it. Tony Hancock was in it, but he was second billing to Charlie Chester. We wrote those six shows and then the BBC changed the name of it to Star Bill which ran for another two years, without Charlie Chester, and elevated Hancock to the star. Then we decided we would like to do a half hour storyline sitcom without interruptions for music and thus was born Hancock’s Half Hour. BCC: When in 1956 Hancock’s Half Hour began on the TV as well as the popular radio show, was the TV a natural progression or did someone at the BBC have the idea? G&S: It was a natural progression. 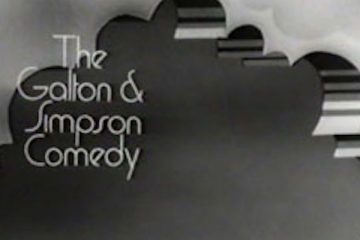 At the time no comic could afford to do TV all week, they’d work the halls Monday – Saturday, they’d do radio on a Sunday if it was written for them. When ITV came on the scene, then TV became more prevalent, so it was decided to move Hancock’s Half Hour to TV. 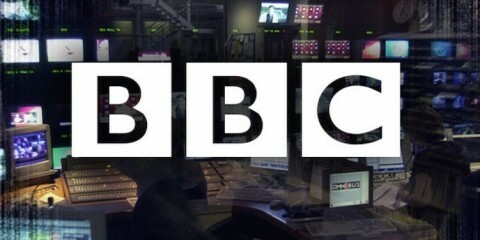 But the radio series was too successful not to do, so the BBC ran them both together. BCC: When, in 1959, the radio series ended, having run alongside the TV series that must have been some workload, did you feel the time was right for the move to just TV or was that someone else’s call? G&S: We concluded it had come to a natural end and we wanted to get into films, to get more international appeal. So we looked to America. We had a three picture deal with Tony, the first one was The Rebel which was very successful, we submitted an idea for a second film and Tony rejected it as he felt it wasn’t international enough. He later made a film The Punch and Judy Man from a script by Philip Oakes, that was set in Bognor Regis, not quite the international he’d been looking for. BCC: Many thanks guys for your time and insights, it’s been fascinating and much appreciated. Special thanks must also go to Tessa Le Bars, manager and agent for Galton and Simpson who set up this interview for us and has worked tirelessly alongside Ray and Alan in helping us ensure the material contained within these posts is accurate.